QStock deeply integrates with leading eCommerce & Marketplace solutions like Shopify and Amazon in the cloud. Truck and warehouse inventory management, templating, replenishment and reordering for service based industries like Plumbing, Heating, Cooling and Electrical. Serial aware RMA management, Advanced Serial and Lot Tracking with ability to read and print FDA compliant UDI labels. This all begins with proper inventory management. Barcoding is key to the accuracy and detail needed to comply with traceability requirements. Human input is simply too prone to error, and it is also far less efficient. With QStock, your teams can ditch the paper and excel, using wireless barcode scanning distributed amongst your team to allow you to continuously recount small portions of your warehouse. A good and properly implemented barcode system protects an organization by ensuring data accuracy. Because data is obtained rapidly and accurately, the management is able to make more informed business decisions. 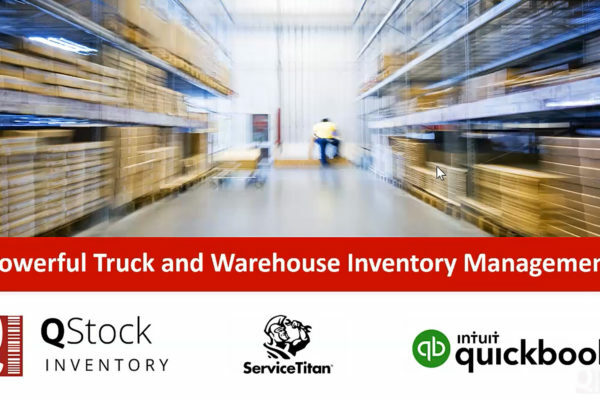 Qstock Inventory connects with FedEx and UPS out of the box to bring your tracking numbers to invoices. Adding the shipping information to the order marks that delivery as complete, and we will post that back to the invoice as if the order was picked and shipped from your warehouse. As your business grows you might want to branch out and sell online or in physical stores. No matter what you choose you will need a multichannel allocation system and QStock is just that. One of the things that QStock does is streamline the receiving process in your Physical warehouse and has a deep real-time integration with Intacct through a web services connection. Want to know how our Warehouse Management System canseamlessly Integrate into your environment?